Optical bandpass Interference Filters are used extensively in a variety of biotech, biomedical, and quantitative chemical applications to selectively transmit a narrow range of wavelengths while blocking all others. 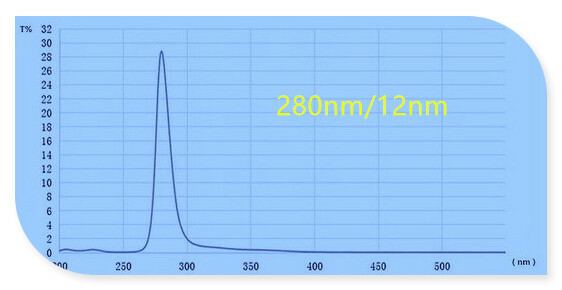 Interference filters are widely used in instrumentation for clinical chemistry, environmental testing, colorimetry, elemental and laser line separation, flame photometry, fluorescence, immunoassays, etc. In addition, interference filters are used to select discrete spectral lines from arc or gas discharge lamps (Hg, Xe, Cd, etc.) and to isolate a particular line from Ar, Kr, Nd:YAG, and other lasers. DELN provides variety band pass interference filters of from ultraviolet to near infrared spectral range. Biomedical filters are the core components for biomedical and biochemical analyzer instrument. For these narrow band interference filters, the bandwidth is limited to 8nm and 10nm. Light outside the interested area is blocked to above OD4 of from 200nm to 1100nm. 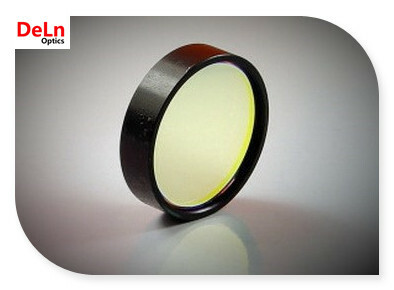 These filters with high transmission and deep blocking depth, and the bandwidth to be within 8+/-2nm or 10+/-2nm.